We did it, we committed to a family holiday and told the kids three months before departure. In hindsight, we possibly told them a little too early as we had to endure their constant and repetitive countdown, but it was fun winding them up and watching them go ‘ping’ like a rubber band the day we left. We took advantage of the very convenient direct service operated by Virgin Australia between Dunedin and Brisbane. The flight times were perfect, arriving into Brisbane late morning that allowed us plenty of time to leisurely collect our rental car and cruise down to the Gold Coast to begin an action-packed holiday. Being a little tired from our early start (small price to pay) we decided to drop off the bags at our accommodation and spend the afternoon becoming familiar with our new surroundings by walking the streets of Surfers Paradise. Most cities offer a hop on hop off tour bus and normally suggest using these as they are a wonderful way to get orientated – however the Gold Coast does not have one nor does it need one as it is very easy to find your way around. It was now time to unleash the kids and we thought we would start the holiday off by letting them loose in Dreamworld but first because we were still on New Zealand time and had some hours to kill we took a quick and relaxing walk along beautiful Burleigh Beach located about 10 minutes south of Surfers Paradise. This is a very nice and safe beach for swimming and a great place to get among the locals who are all up and about very early in the morning to take advantage of the light mornings and amazing climate. Dreamworld, with its neighbor Water World, is one of the most popular theme parks that caters for a wide range of thrill seekers. Not only do they have a good selection of great rides but also offers the opportunity to get close to and learn about wildlife. I would recommend at least one full day if doing Dream World only, but if you intend on including their Water Park you will need more than one day. With one theme park down and three more to go, Dad was feeling a little second hand so suggested a break from the parks. We decided to recharge the batteries and take a day to explore one of the many beautiful beaches the Gold Coast had to offer. We heard that Coolangatta was a nice safe beach for swimming and also offered a really nice laid back atmosphere with plenty of restaurants and cafes. This proved to be true and we were soon experiencing what the Gold Coast is known for – beautiful, warm, sunny beach days with inviting waters even in September! A great way to finish off a busy day bonding with family at the beach on the Gold Coast is a beautiful meal at Karrawa Surf Club in Broadbeach, good value for money and a great experience. The challenge of keeping your seven year old daughters eyes from slamming shut at the table will keep you occupied while you wait for your meal. There are many Surf Clubs dotted along the coastline from which you can choose to dine at. They are great value and you are supporting a very good cause. It is time to head back to the bone rattlers and thrill- seeking theme parks, this time it was Movie World. Fantastic park with great rides for all ages and especially enjoyed their stunt show and don’t miss their street parade at the end of the day. This park is not as big as Dreamworld and suggest one full day here. If you are wanting a break from the action-packed Gold Coast and looking for something quite different I highly recommend that you take a 45-minute drive to Tamborine Mountain which is a National Park covered in rain forest 36 km from South Port. This picturesque and peaceful haven has so much to offer you and your family, such a great way to enrich your holiday experience with nature and really begin to unwind. Stay and play for a day or two and be sure to explore the selection of beautiful bush walks and try the amazing Sky Walk. 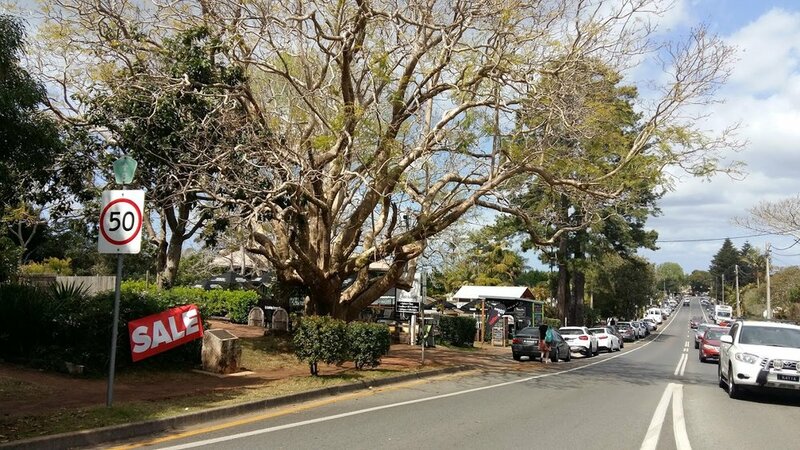 Have lunch at and explore the lovely and quaint village of Eagle Heights where you will find a selection of really interesting arts and crafts shops. I would suggest at least one day here except if you intend on walking some or all of their tracks. In which case you may want to consider spending a night so that you can enjoy the area at a leisurely pace and immerse yourself in the surroundings. If doing bush walks please ensure you get advice from the information center regarding the types of plants and leaves not to touch as some are poisonous. If you decide to go to Wet n Wild during winter or spring I suggest purchasing a Noeprene vest to keep the kids warm as it can get pretty cool especially waiting to get on rides. If they get too cold too soon it could be an early exit from the park. There were five rides out of service, one of which was a very popular family ride and although the queues are short at this time of year you will need to decide if you want to go during peak times with all rides operating and long waiting queues or less rides and short queues. You can easily wait up to one hour to get on a very short ride. Suggest you keep an eye on their website for maintenance schedules https://wetnwild.com.au/park-info/maintenance-schedule before you go. If heading there on a special occasion take a look at their Private Pool Cabana’s to hire which a from $170.00 and includes a meal for 4 people. A great way to start off a new day is to have breakfast with arguably the best view in town, at 322.5 meters above the Gold Coast at SkyPoint on Q1. We could never get tired of the incredible views and suggest heading back up at night for a completely different perspective. 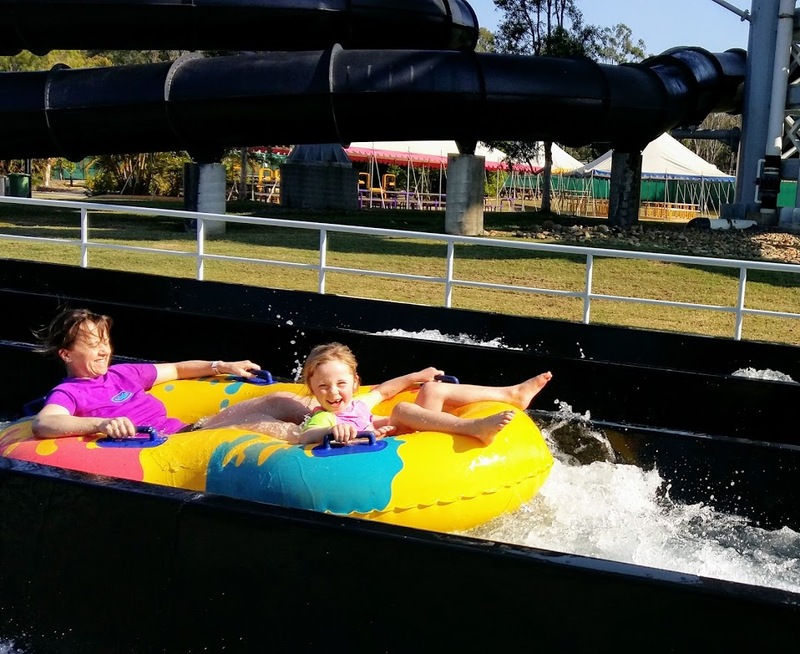 A great way to get good value for money is to purchase a multi- day combo pass in conjunction with Dreamworld/White Waterworld so that you can go back to experience SkyPoint at different times of the day. If you really love heights you can now do the SkyPoint climb day or night from $75.00. This was a pretty good warm up for the attack we had on Sea World. Unlike the other theme parks it is located very close to Surfers Paradise so it’s easy to squeeze in SkyPoint, a swim or a stroll along the beautiful beaches beforehand. Sea World offered a very good selection of rides for the kids at Nickelodeon Land (great for the big kids too), a great stunt show on jet skis and inspiring and educational Dolphin show. The opportunity to have some interaction with the dolphins and learn more about the sea life and how to protect the environment combined with the activities on offer made it a great family day out. This was the only theme park we went back to for the second time with our ‘mega pass which is a 7 day pass’. After I embarrassed the kids surfing with my hairy white Dunedin legs, no need for a wet suit in these beautiful warm waters, we headed off for a Canal Waterways Lunch time cruise which was fantastic and I highly recommend it. It gave you the chance to learn a bit about the area and see the Gold Coast from a different perspective from the water. Great food, informative and the kids might get the chance to take over the controls. www.surfersparadiserivercruises.com.au . If you love wildlife, then I suggest a full day to explore Currumbin Wildlife Park. We underestimated the size of the park and ended up rushing to ensure we explored every little nook. This is where you will have the chance to get close to Koala Bears and snakes. My wife and daughter took this opportunity to cuddle a snake but judging by the look on their faces I think they should had chosen the Koala Bear! The park is an easy 30 minute drive from Surfers Paradise and you could combine this with a visit to Tallebudjera Creek for a swim. Our holiday adventure was coming to a close but because we again took advantage of the great direct service between Brisbane and Dunedin departing at 4.00 pm we were able to have a relaxing departure and squeeze in one more memorable experience before heading home. Being on the Gold Coast there is no shortage of options and if you have a multi-day Theme Pass you could re-visit another park. We choose to relax at an oasis on South Bank in Brisbane and end our holiday with a swim here. What a fantastic spot!, beautifully maintained beach setting with pools, restaurants and cafes close by. There are clean changing rooms so easy to manage a few hours here with lunch and a swim with the family. This was always going to be an exhausting holiday and heading back to work may well be for a rest, but I reminded myself that this was a holiday for the kids. There is an enormous amount of amazing activities and sightseeing trips that you can take part in while on the Gold Coast, it has so much more to offer than just the theme parks or simply relaxing on the beach or by the pool. For us this holiday was about bonding with the kids and offering them experiences and memories that they will cherish and reflect on for many years rather than focusing on where we stayed. Like any investment you make for your family, think about what is important for you all, and go from there. Older PostEurope with Contiki - 19 days of everything and more!